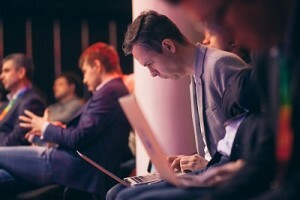 Blockchain & Bitcoin Conference Russia, which was dedicated to the development of cryptocurrency and blockchain technology, took place on Friday, April 8, in the centre of Moscow. The main object of the conference was the blockchain – technology, which became a separate sphere of investment, along with the Bitcoin system. According to the head of the innovative activity management at HSE Marina Gurieva, only in the first quarter of 2016, the global capitalization of services and technologies based on blockchain reached $ 9 billion. JPMorgan, Chase, IBM, Microsoft are becoming deeply engaged in blockchain. The latter has implemented the possibility to develop applications on blockchain Ethereum – Blockchain-as-a-Service. Join our next event – Blockchain & Bitcoin Conference Prague, which will take place in the Czech capital on 19 May 2016.